​There was a very pleasing record entry of 33 players at the Southbourne CC Christmas Handicap Tournament since the club has moved to its new premises. As always, fun & enjoyment was the main theme with Christmas music being played throughout together with Bucks fizz & mince pies being offered during the tea break and, as is tradition, all players won at least one wrapped up Christmas present at the end of the evening. There was also a £1 book sale. Well played to Len Laker (144) who played brilliant attacking chess to win the tournament with 5½ points out of 6, also for eating most mince pies! 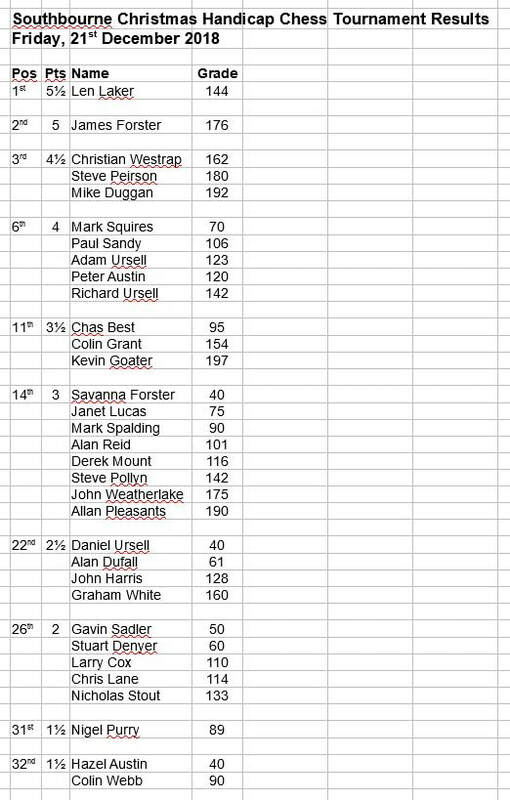 There were other notable great performances from James Forster (176) who came 2nd with 5 points, Mark Squires (70) who came 6th equal with 4 points, Chas Best (95) who came 11th equal with 3½ points and Savanna Forster (40), Janet Lucas (75) & Mark Spalding (90) who came 14th equal with a 50% score. Friday 21st December 2018 ... 7.15pm for a 7.30pm start at Tuckton Social Club. 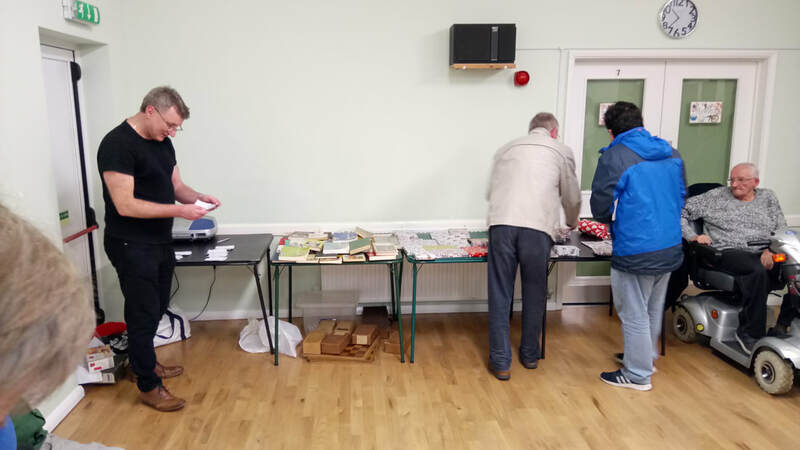 It's time for this ever popular annual celebration including food and chess played to the accompaniment of Christmas music and where there are always more prizes than players! This fun 'time-handicap' tournament is open to all local players. We warmly welcome all visitors, regardless of strength. 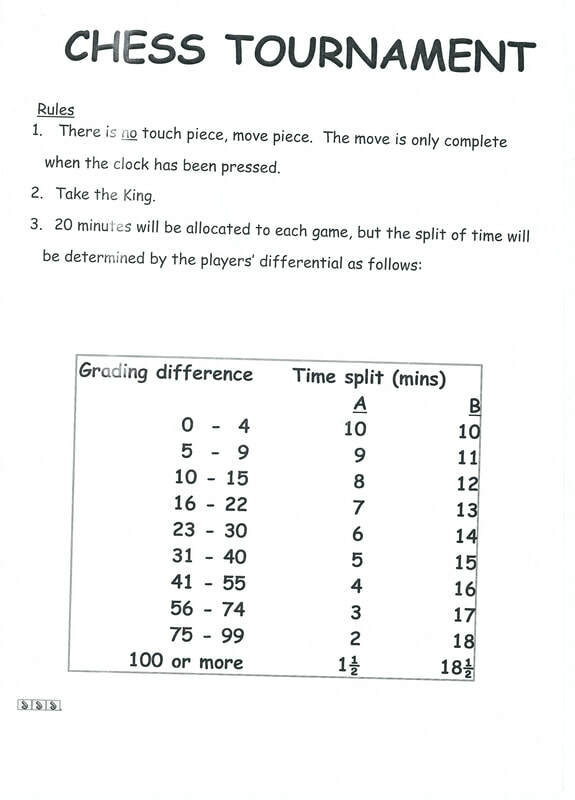 It is planned for the tournament to be in a 7 round '20 minutes per game' Swiss format but to help lower graded players, each player's time on their own clock will be determined by the grading differential between the players (e.g. 15 to 5 minutes). Indeed, where there is more than a 100 grading point differential, the higher graded player will only have 1½ minutes to the lower graded player's 18½ minutes, so not so easy! The entry fee is only £2 which is great value as it includes bucks fizz, tea, coffee, mince pies and a guaranteed Christmas present and the better you perform the more presents you might win! ​You are more than welcome to bring along a wrapped up gift to add to the sack of presents or even an unwanted chess book / DVD which will form part of the 50p to £3 book and DVD sale during the break. We really hope to see you there. It is always a fantastic, enjoyable, fun evening to help us celebrate the festive season! Friday 22 December 2017 7.15 for 7.30 Start. It's time for the ever popular annual celebration including food and chess played to the accompaniment of Christmas music. ​You are more than welcome to bring along a wrapped up gift to add to the sack of presents. THE ENTRY FEE IS GREAT VALUE. It includes bucks fizz, tea, mince pies and a guaranteed Christmas present! Friday 23rd December 2016 7.15 for 7.30 Start. Its time for the ever popular annual celebration including food and chess played to the accompaniment of Christmas music. This is open to all players. THE ENTRY FEE IS GREAT VALUE. It includes bucks fizz, mince pies and tea.